Despite being an industry leader, GE Lighting's B2B business was behind their sales goals and marketing channels were becoming less and less efficient. Prove was brought on to try shifting what they'd always done to a hyper-focused digital media strategy. GE’s B2B business was lagging behind sales goals as traditional marketing channels became less efficient. Their new media plan needed to shift to more digital channels and deliver the most qualified leads, without wasting budget on irrelevant impressions. Looking to improve media efficiency? Prove eliminated wasteful media dollars that were casting a wide net in the B2B industries, but missing the decision makers, by leveraging LinkedIn data to reach buyers in GE's target verticals. Once the audiences were defined, Prove executed a multi-channel media plan designed to reach each vertical's target audience, wherever they were in the sales funnel. Creative was developed and targeted specifically for each vertical. Used paid search to get in front of bottom-of-the-funnel users looking for exact GE products and services on search engines. Served relevant banner ads programmatically to target audiences throughout the web and alongside relevant content. Leveraged trade publications to send branded email content to professional B2B audiences with more detailed information about GE products related to the publication's vertical. We developed a custom audience for each vertical that combined LinkedIn data about users’ industry and job titles, ensuring we were hitting the right people with the right message. Compelling banners, email blasts, and videos exactly matched each audience and delivered messaging that spoke to their primary concerns, specific to their industry. Landing pages provided whitepapers and webinars in exchange for email addresses. Email addresses were added to industry-specific mailing lists and used to develop new look-a-like audiences. Our campaigns were so effective at eliminating wasted impressions on an irrelevant audience, and creative could be so precisely targeted that our campaigns accounted for more than half of GE Lighting's overall website traffic. Banner ad click-through rate was 3x higher than industry standards as a result of successfully matching creative to audience. 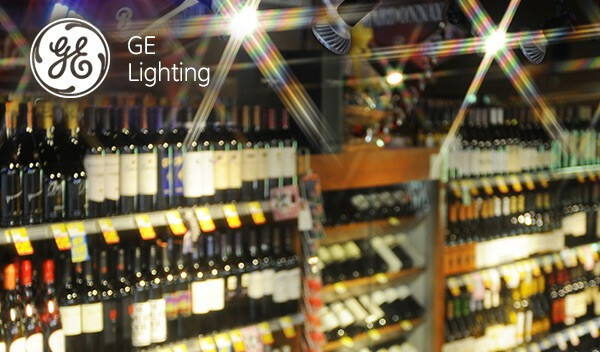 Traffic from these vertical media campaigns accounted for 55% of all traffic to the GE Lighting website. Grew Marketo email marketing list significantly. Ready to reevaluate your media strategy?